CAM-30: CAM-30 was awarded to Interstate Airlines. IA was formed in June 1928 to operate the CAM-30 mail route between Chicago IL and Atlanta GA. Mail and passenger services started in December between St Louis MO and Evansville IN, a stop on the Chicago-Atlanta run. Interstate was acquired by the Aviation Corporation (AVCO) towards the end of 1929. Interstate continued during 1930 with mail services only. 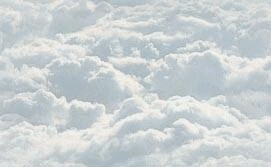 Eventually, Interstate was integrated into the Aviation Corporation's operating airline, American Airways Company. American, through its Embry-Riddle Division, took over and reintroduced passenger services between Chicago and Atlanta, now routed via Indianapolis IN, Cincinnati OH and Louisville KY instead of via Terre Haute and Evansville IN. 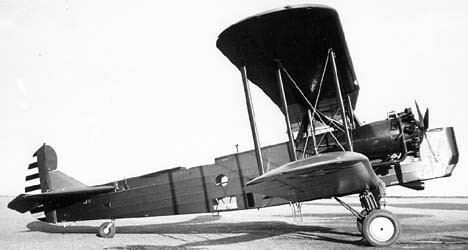 Interstate boasted a fleet of twelve aircraft including seven Fairchilds and three Stearmans. CAM-30: On February 9, 1934 the Post Office Department canceled all contracts of operators flying mail on routes within the US to become effective on February 19, 1934. The reason given by the Post Office was that there was suspicion that the mail carrying contracts had been awarded through collusion during the previous Administration. 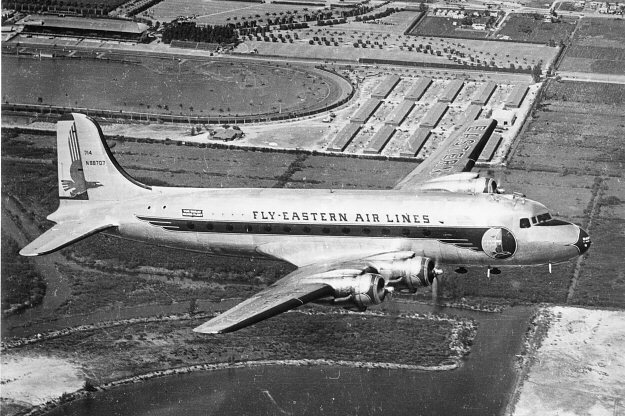 CAM-30: After the February 1934 cancellation and reinstatement of new commercial air mail carrying contracts over re-designed revised Post Office routes in late June 1934, Eastern Air Lines began flying CAM-30 air mail. Clement Keys who was a former financial editor of the Wall Street Journal and an untiring promoter of multimillion-dollar aviation corporations purchased Pitcairn Aviation in 1929 and sold it to North American Aviation, a holding company for a number of airline and aircraft companies. 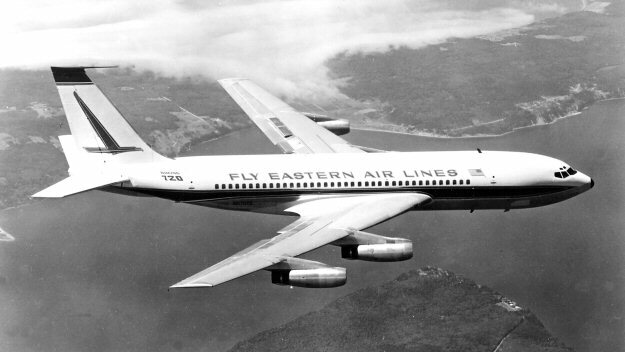 On January 17, 1930, Pitcairn Aviation's name was changed to Eastern Air Transport. 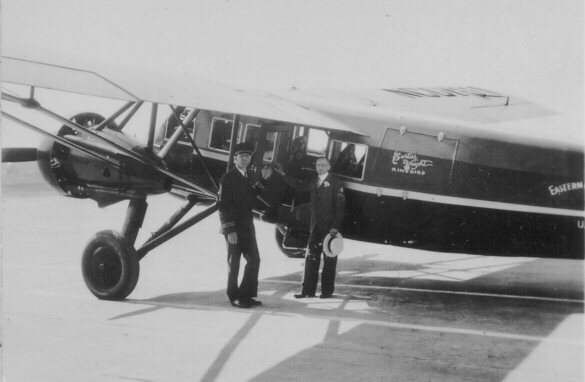 The next year on January 1, 1931 EAT inaugurated its first combined passenger and air mail flight service. 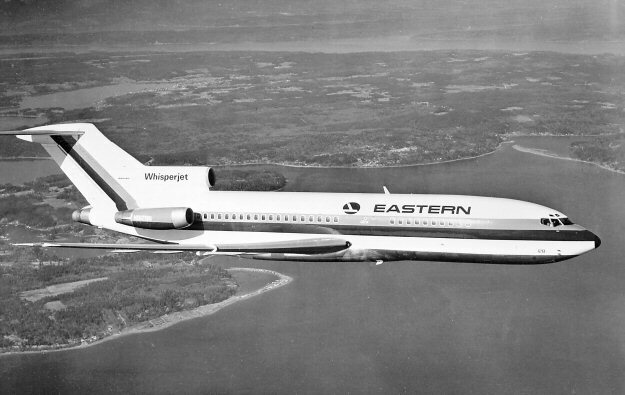 Eastern Air Transport had been re-structured and became Eastern Air Lines (EAL) in 1934. In 1935, while still a vice-President of North American Aviation, former WW-I hero Captain Eddie Rickenbacker took over at the "new" Eastern Air Lines.